We’re looking to bring our advanced X10TM wireline solution and services to plays across the country. Currently, we have active operations in the Permian Basin, Marcellus Formation, Woodford Shale, and more, and we will expand into other areas soon. 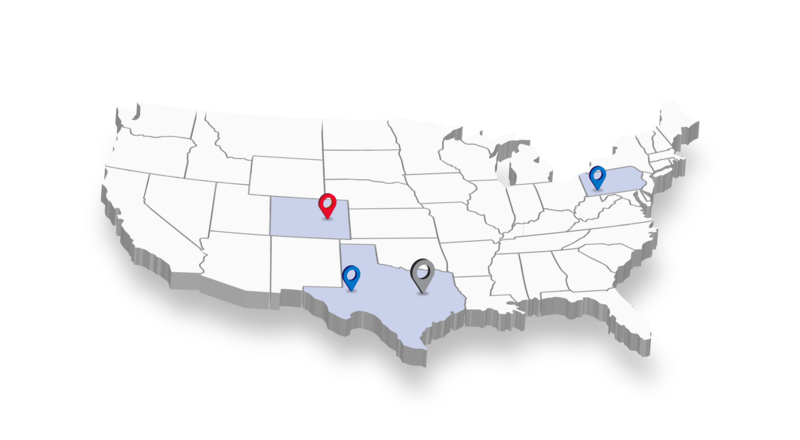 Reach Wireline facilities are conveniently located near each field to provide the high-quality, readily available service to your operation. Find out how we can improve your completions. © 2019 Reach Wireline. All rights reserved.